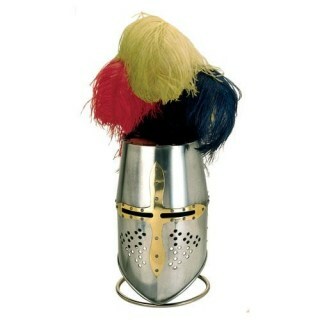 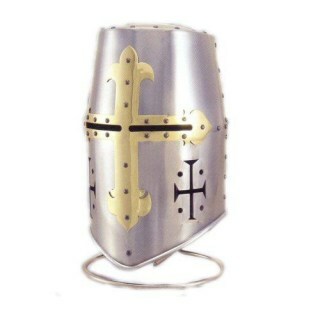 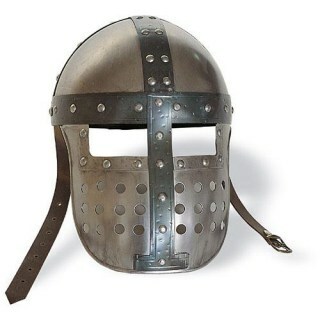 The helmet so-called "pot" was the typical helmet used by the Knights Templar Crusaders and especially for the duration of the Crusades. 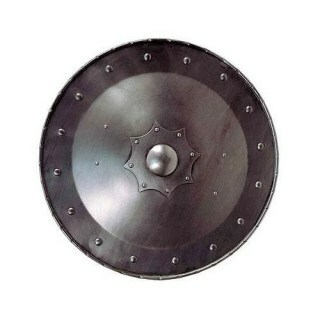 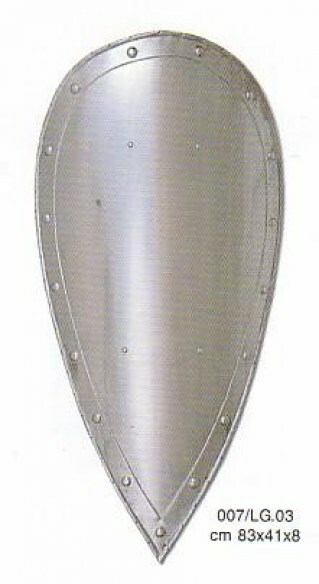 Shield "almond" convex to the head and lateral margins curved, pointed downwards, the edge is reinforced with rivets. 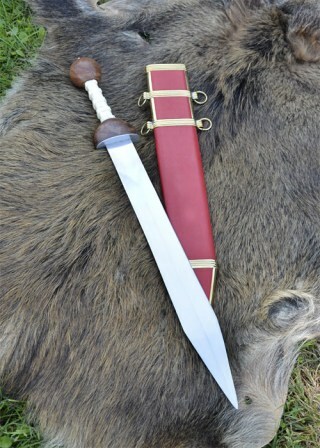 Roman Gladius (Pompeii), the classic short sword of the Roman Empire, named after an original that was found in the ruins of Pompeii. 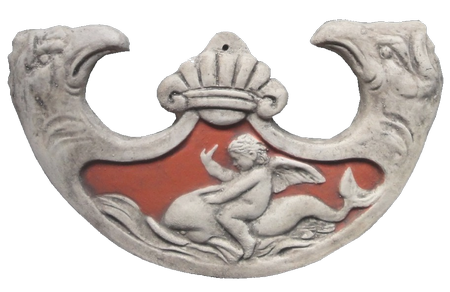 Porcelain sculpture numbered and limited edition. 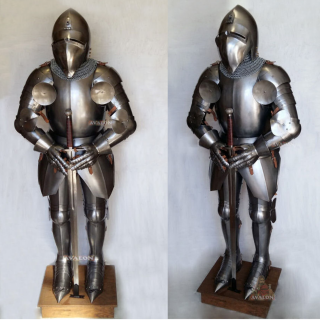 Amelia will be the statue in 2014 and is supplied with an exhibitor as in the photo. 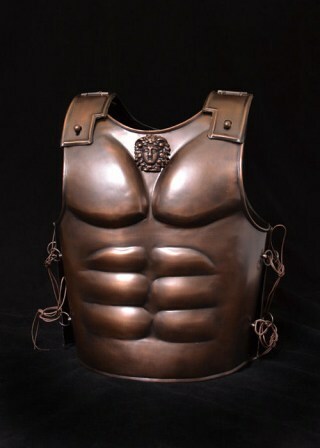 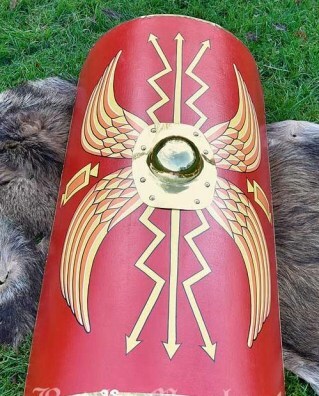 Roman legionary shield rectangular introduced from the late first century AD and in use until about the third century. 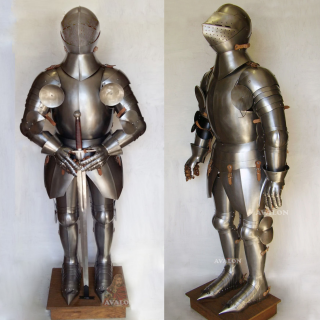 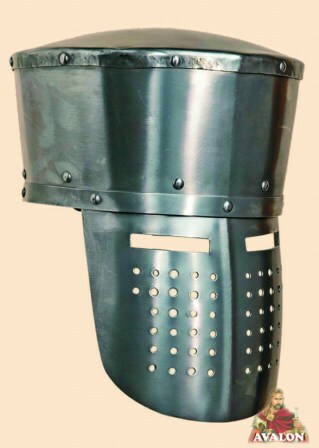 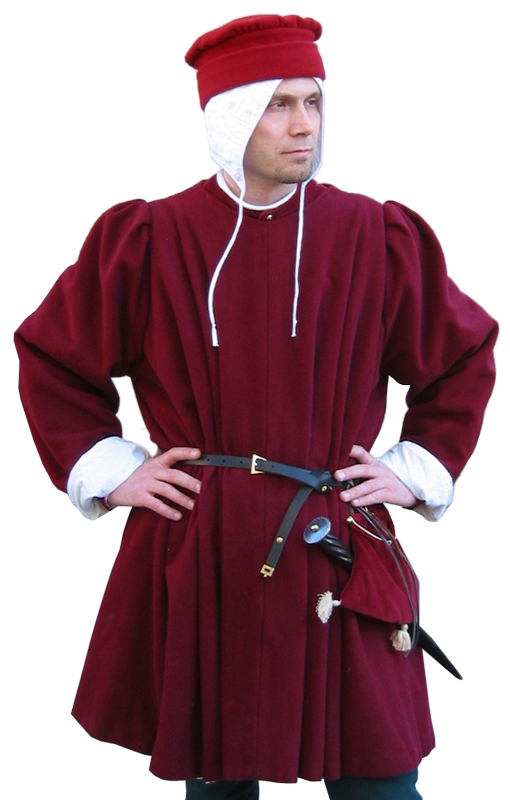 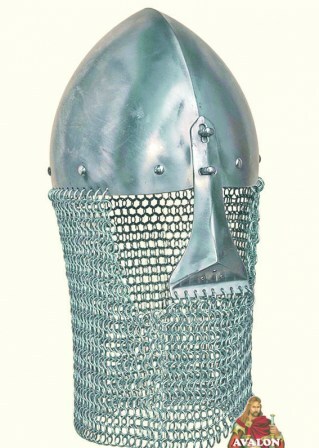 Medieval Armour, composed of a helmet man of arms typical of the second half of the fifteenth century, featuring pieces from the surface smooth and rounded. 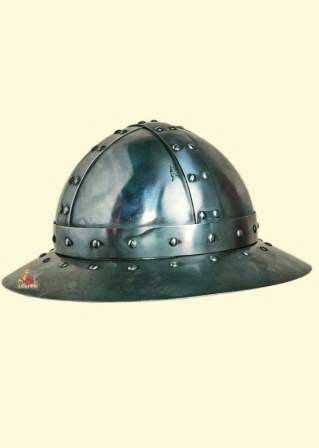 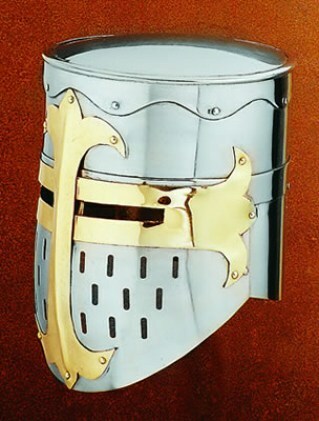 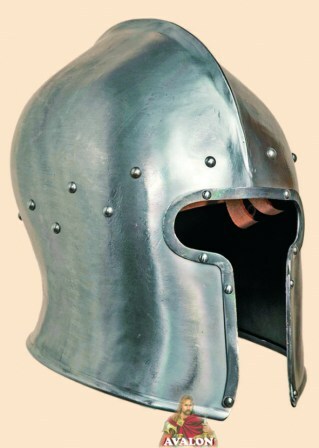 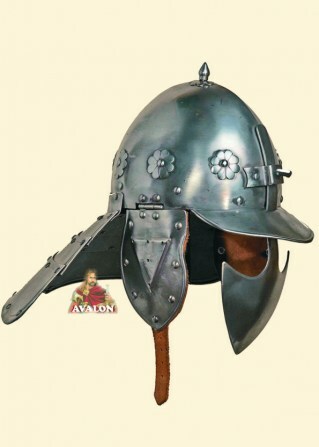 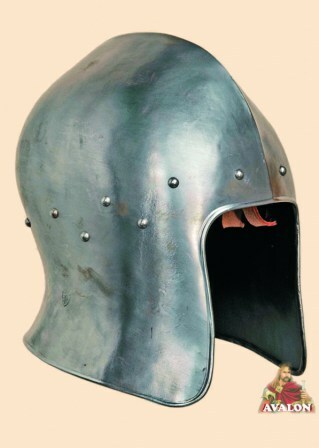 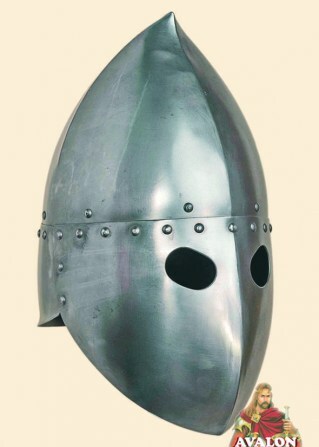 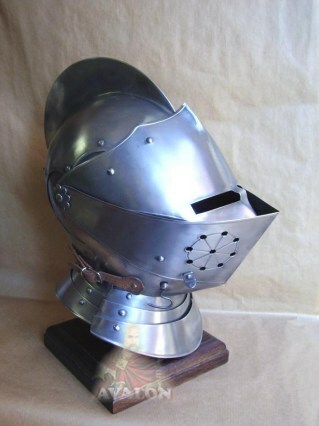 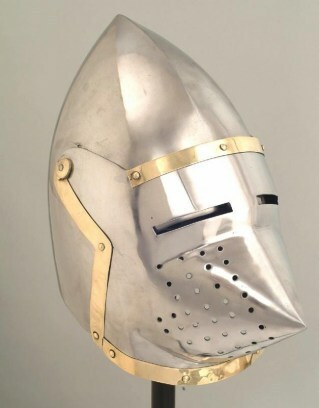 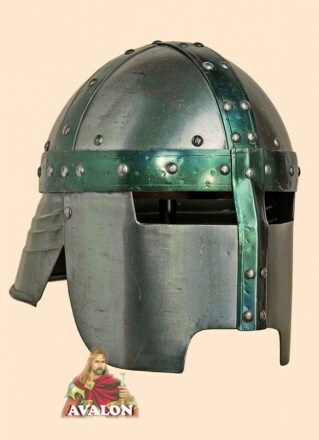 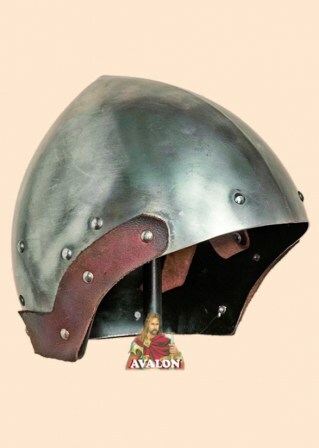 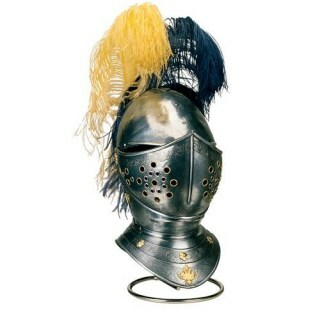 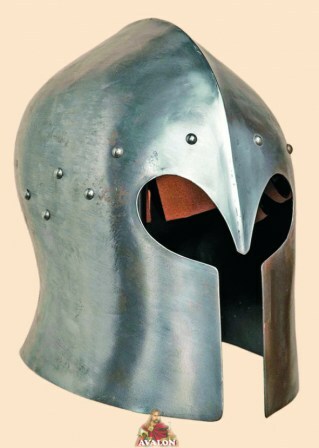 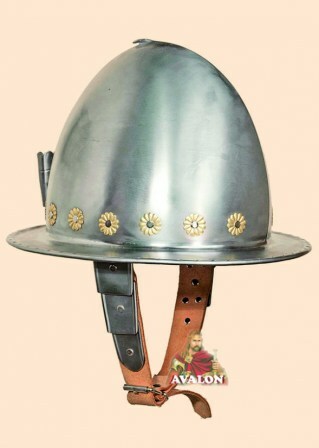 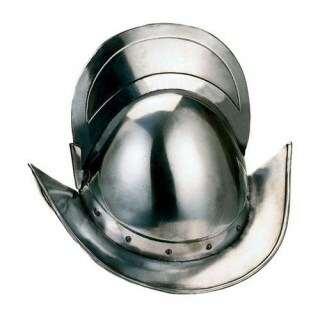 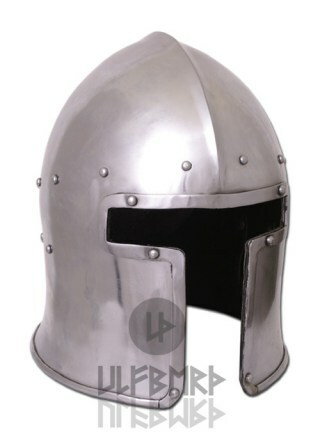 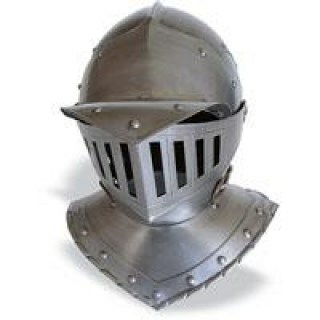 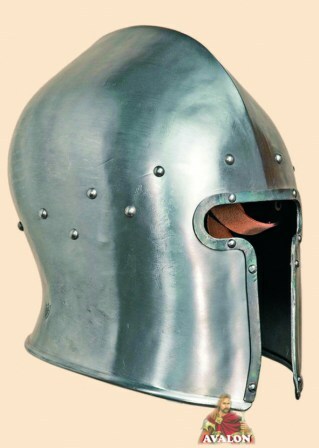 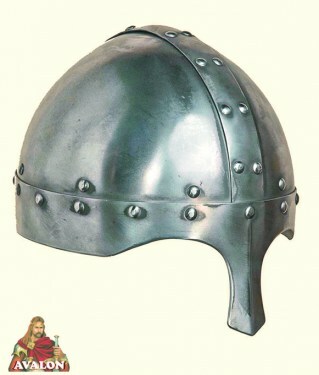 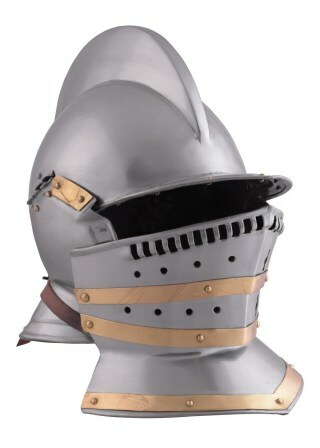 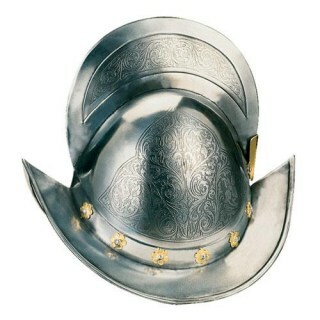 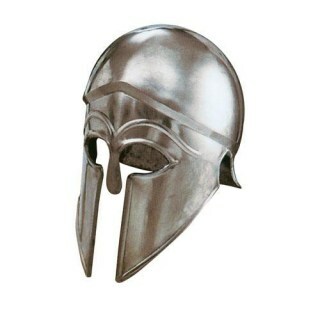 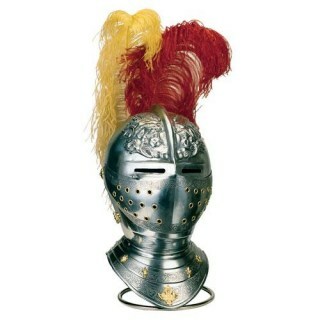 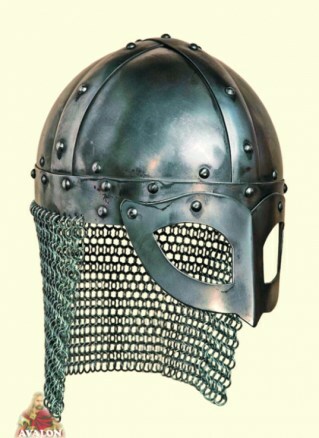 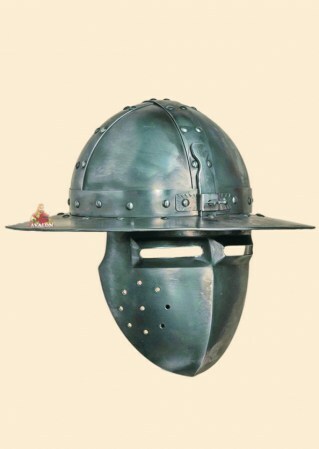 Reproduction of a Burgonet helmet, 1.2 mm steel, the Burgonet developed at the beginning of the 16th century by the Sallet. 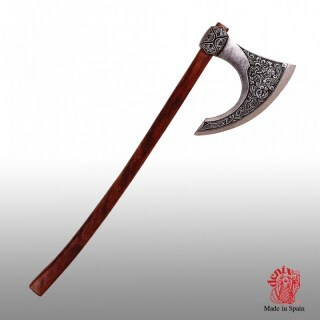 Ornamental reproduction of Viking Axe of sec VIII, battle axe, die-cast metal Head. 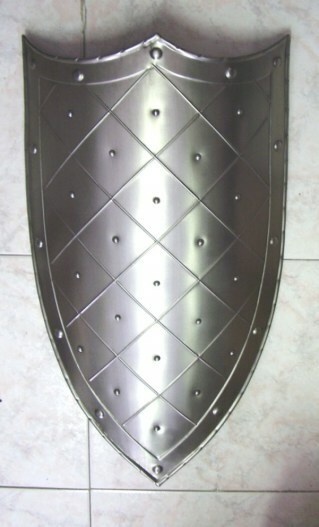 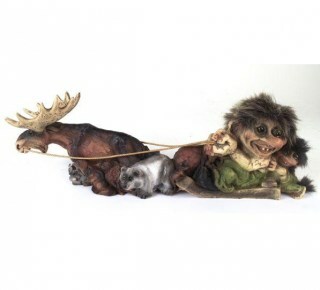 decorated, length: 87 cm. 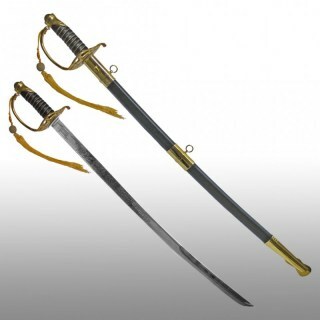 U.S. cavalry saber, with slightly curved blade. 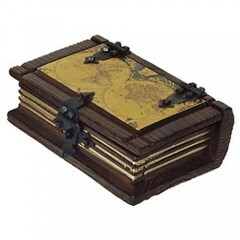 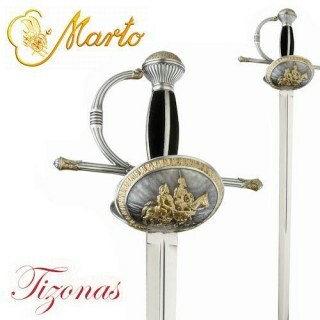 It comes complete with scabbard covered in black leather with metal hilt. 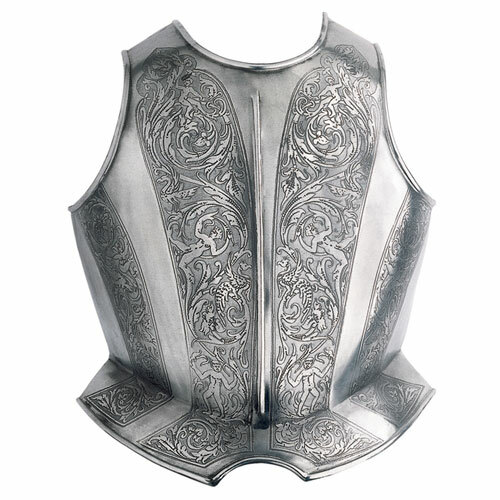 Used by pirates in the sixteenth century, made of cast metal, decorated with classic symbols of piracy as the skull and crossed swords on the collar of the sheath. 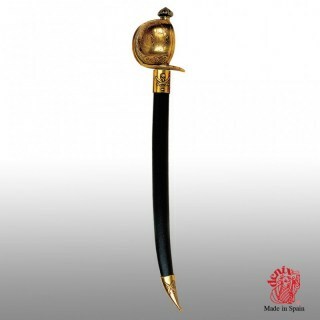 Briquet saber weapon supplied to the officers and soldiers of Napoleon's troops. 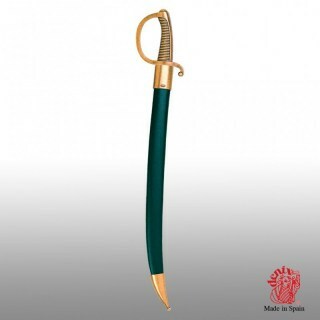 Slightly curved blade with impugnaura arc interamnete made ​​of brass. 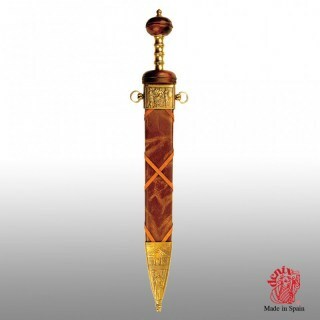 Crusader Sword, medieval sword twelfth century, decorated with symbols characteristic of the crusaders. 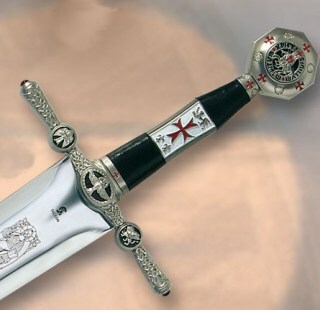 Templar dagger decorated with symbols characteristic of the Templars, steel blade and sheath. 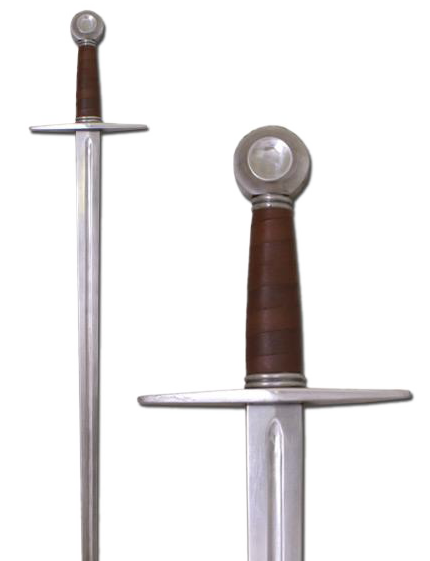 Templar sword, medieval sword twelfth century, decorated with symbols characteristic of the crusaders. 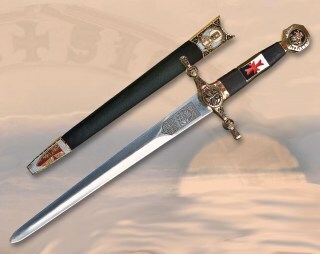 Sword Templar Grand Master of the Temple, the twelfth-century medieval sword, adorned with symbols characteristic of the Knights Templar. 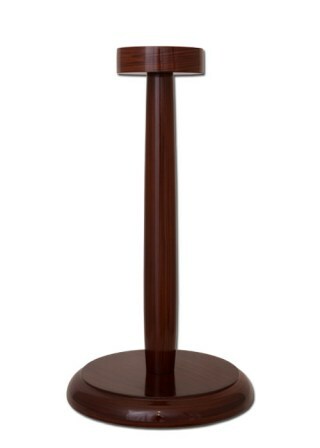 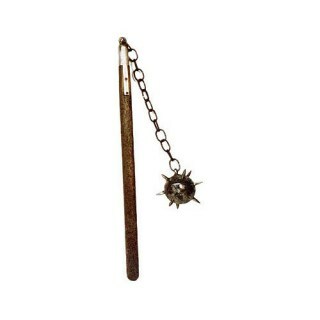 Head straight wire and spire and pointed beak, mounted on a shaft of polished wood and hand-crafted. 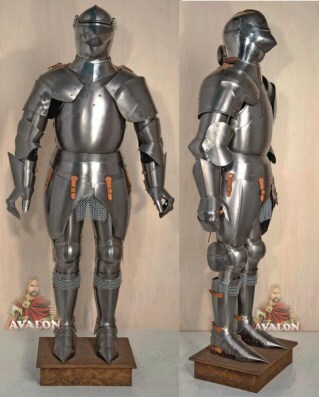 Total length 230 cm. 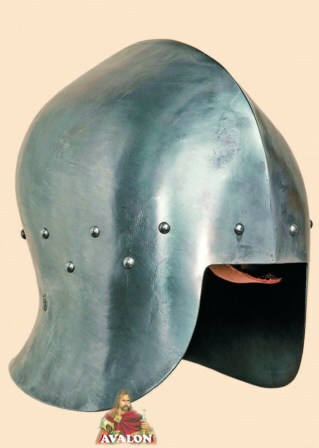 weight 3400 gr. 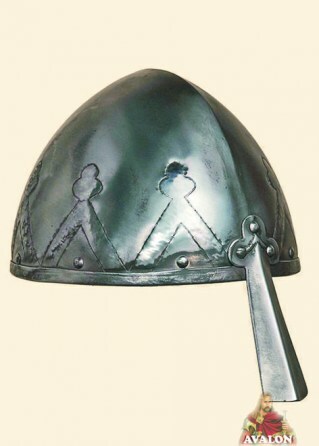 Domed-shaped head with an ax. 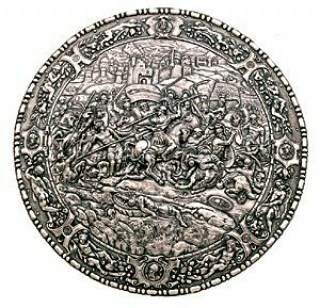 Type of flail used in Europe during the XIIIth century by footsoldiers. 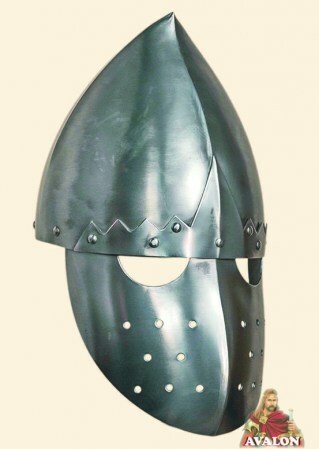 War axe, in use in Europe during the XVIth century. 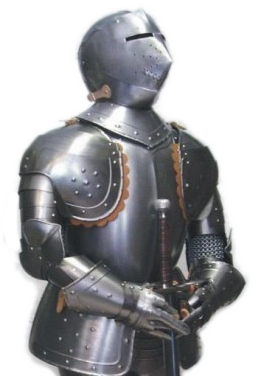 This particular model is known as man-at-arm axe, because mainly used by the professional soldiers that fought on horseback. 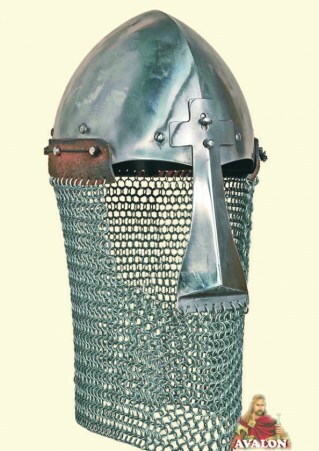 War axe, in use in Europe during the XVth century. 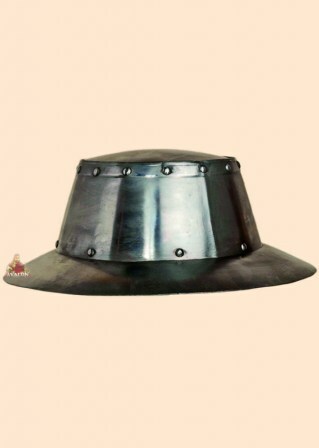 This particular model is known as man-at-arm axe, because mainly used by the professional soldiers that fought on horseback. 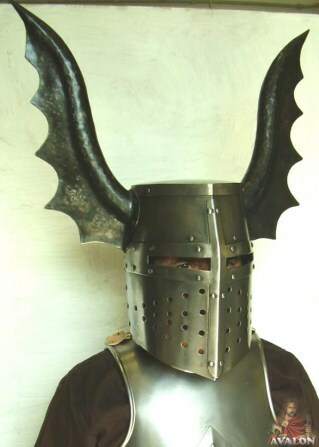 War axe. 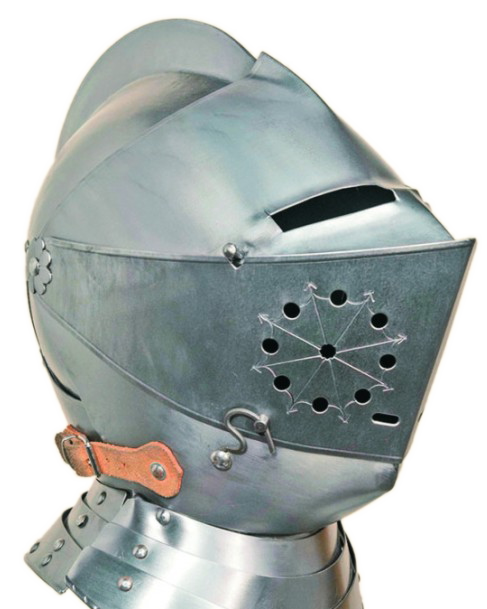 This model, in use in central and eastern Europe, has a characteristic crescent moon shaped head with the upper corner prolonged, fit to thrust. 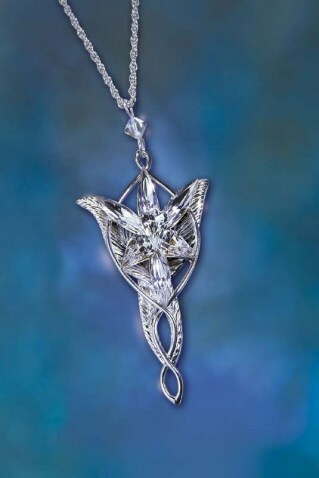 Never as it is in this age it is important to love. 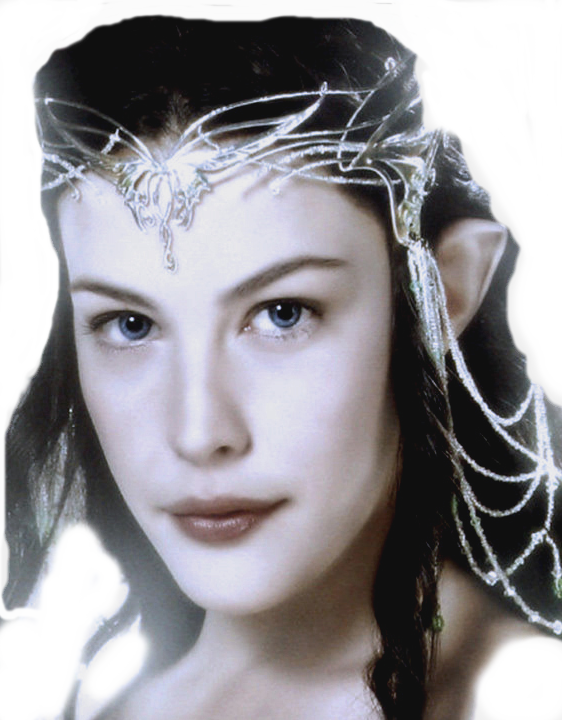 Because when we truly love, we can deeply know other people and ourselves. 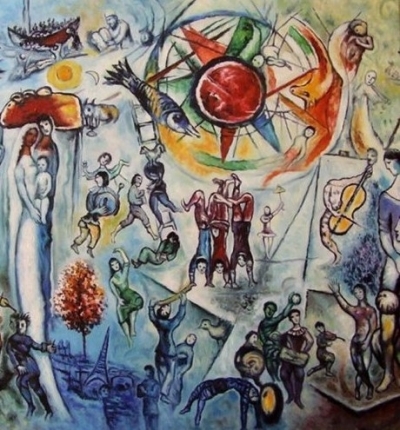 Existence and God are synonyms. 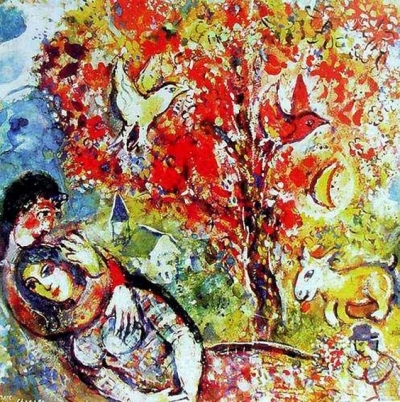 Even the trees and the animals are God, just like the stars and you all. 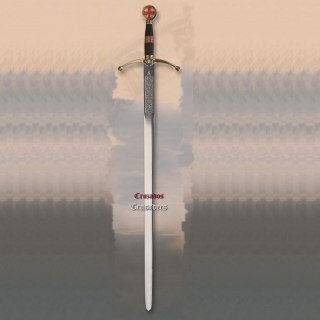 And you, who are reading these words, or you, who have contacted me, are God! 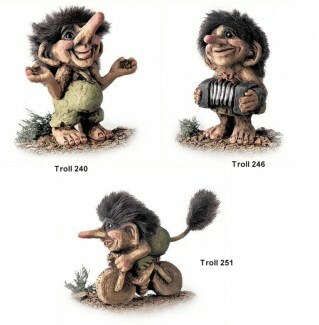 Maybe you did not know it. 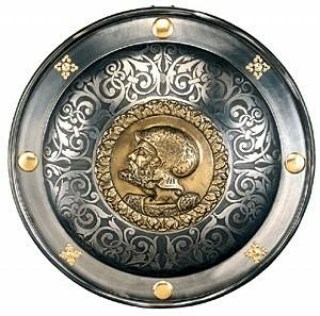 Shield King Richard the Lionheart Shield Steel by Marto. 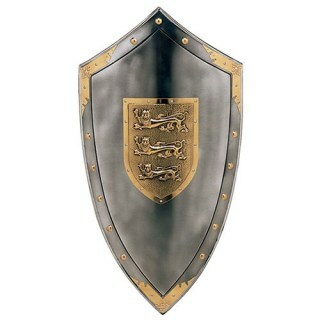 Coat of arms of English kingdom. 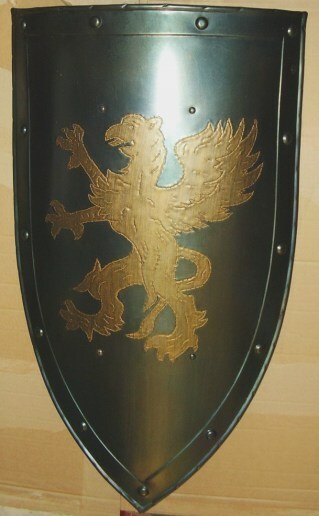 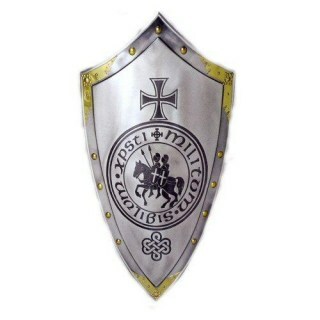 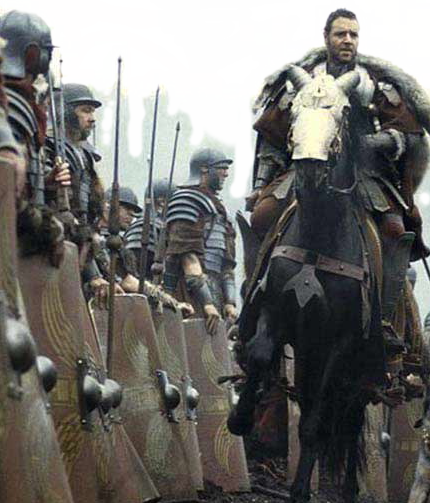 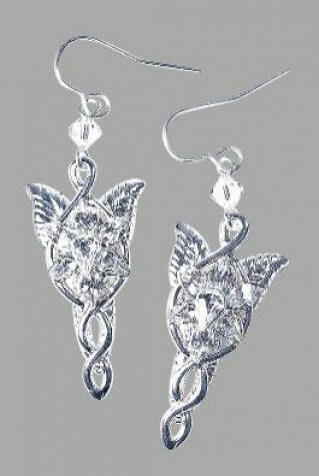 Lionheart is a symbol of..
Breastplate protected chest of knights. 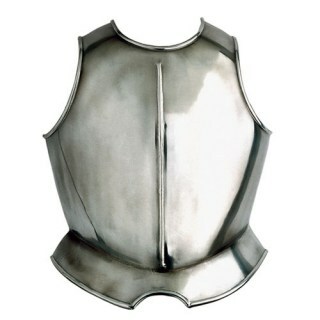 Part of medieval plate mail armor. 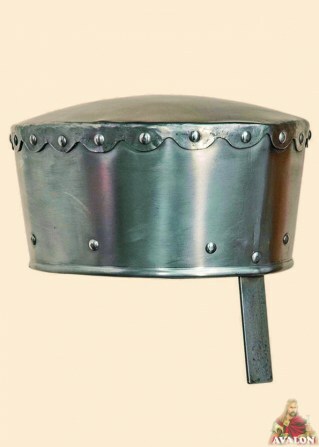 Overall Dimensions: 49 x 40 cms - 19 x..